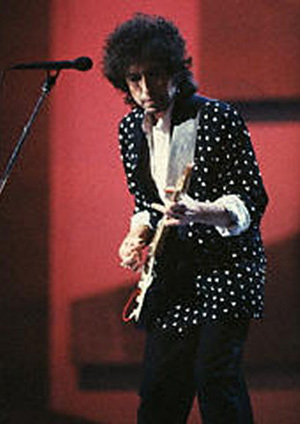 Polka dots became part of Dylan's wardrobe after his 1965 tour of London. 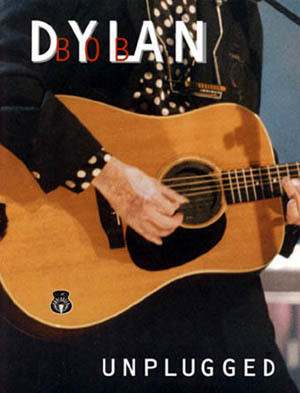 Dylan appeared at the Newport Folk Festival in slim trousers, high-heeled Cuban boots, and a polka-dot duelling shirt. London's Carnaby Street was the ground zero of mod fashion, and the clothing in this picture was probably purchased there. 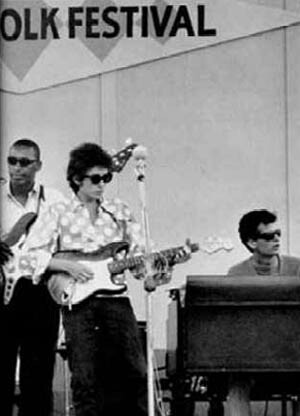 Dylan startled the Newport audiences with an electric performance as well as his wild clothing. At Newport and elsewhere, his electric performances were booed. 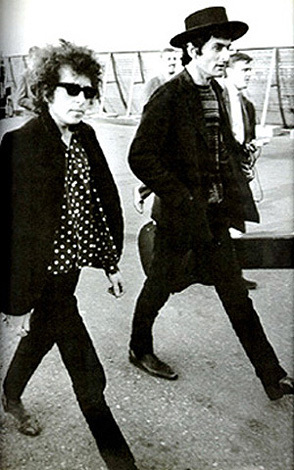 At an airport in Sweden, Dylan sports another polka dot shirt. He seems to like polka dots of all sizes. Listening to the first press of Blonde On Blonde in polka dots. Perhaps the same shirt as above? The dots are smaller than on the Newport shirt but the puffed sleeves are similar. 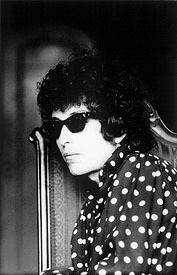 At the dining table of The Castle, a mansion in Los Angeles where Dylan rented a room. 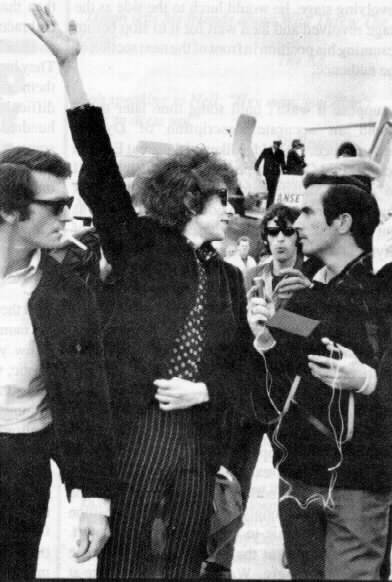 At another airport in Australia in 1966, Dylan wore the perpetual polka dots with striped trousers and Ray-Bans. Yet another (dare we say signature?) 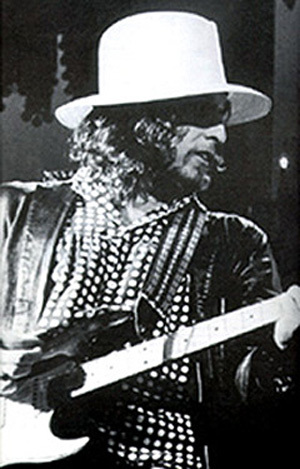 polka-dot shirt at The Band's farewell concert, The Last Waltz. 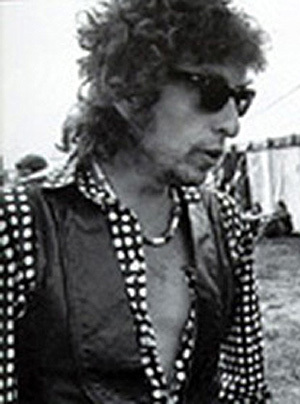 Probably the same polka dot shirt as in the previous photo, half-open with Ray-Bans and stone necklace during the rock-god years. More polka dots on this very eighties jacket. They've been a regular part of his concert attire since Newport 1965. 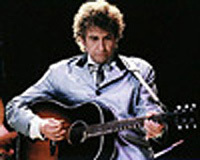 At the MTV Unplugged concert, Dylan wore a polka dot shirt. Is it the 1965 shirt? And how many of these does he own? One wonders.